One of the best ways to get the taste of Toledo’s rich culture is joining the daily Free Walking Tour. You will meet a passionate local guide waiting for you at Zocodover square with a bright yellow umbrella willing to hear “Cuéntame Toledo” in order to start to share his knowledge, legends, curiosities and to introduce you to the great names that contributed giving Toledo the prestigious “City of three Cultures” historical background. The Zocodover main square is the heart of the “Casco Histórico” just two minutes walk from Oasis Hostel Toledo. (Yes, we are that lucky). 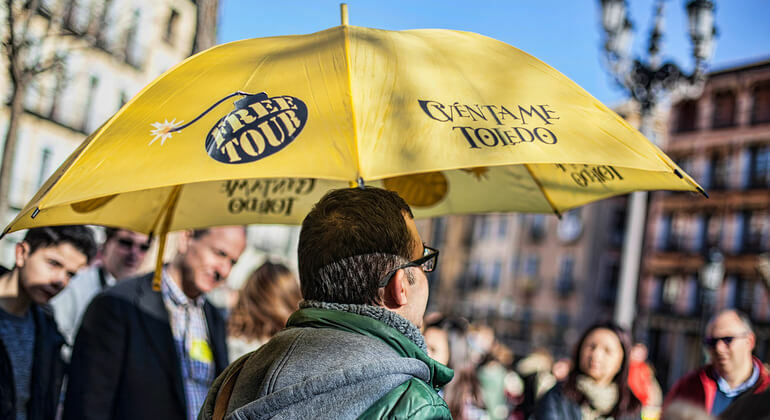 The Cuéntame Toledo free walking tour is offered every single day at 11am. All you need is to show up at the meeting point ten minutes before, wearing comfortable shoes. Why? Well, just trust me…Or the Spanish beautiful way “hazme caso”. Toledo is a labyrinth of charming and narrow lanes sedimented by slopes, the same ones walked by queens and kings, nobles, knights and swordsmen, writers, rogues, imams and rabbis and now by you. How cool is that uh? Okay, now that you are a bit familiar with “las cuestas” de Toledo the tour is about to start. From the Zocodover square you will walk towards the Jewish Quarter, but hold on! While walking through Sillería street you should pay attention to the Circulo del Arte, one of the trendiest spot to have a cup of coffee on daylight and some drinks late night under a medieval church. And yet you can dance when the bells ring at midnight. Walking around the “judería” pay special attention to the Cambrón gate and the Monastery San Juan de los Reyes, make some notes to get back there on your own for fantastic shots on the bridge and also to try the zipline to cross the other side. Why not? 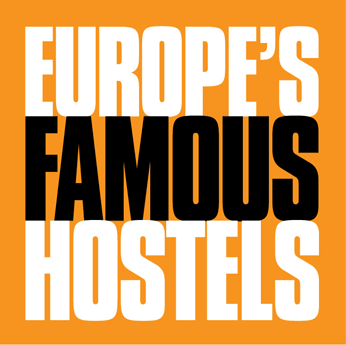 For the moment you keep on with the walking tour…. You can also plan to visit the Synagogue of El Tránsito and the Synagogue Santa Maria de la Blanca. If you’re not familiar with the El Greco Museum don’t miss the chance to find out why this famous Greek painter is so intrinsically connected to history of art in Toledo. And I promise, you will be mesmerised with “The Entierro del Conde de Orgaz”. As the walking tour carries on, you will be introduced to the marvelous legends of art of the marzipan, the traditional sweet that was created by nuns to placate hungry in those former days. Reality? Fantasy? You decide… Whatever is your decision, don’t underestimate the taste of a good marzipan homely made at Santo Tomé Patisserie. At the end you price it as you like according to your satisfaction and budget.